David Millar’s appointment to a new British Cycling job mentoring young riders didn’t stop him picking several dopers in his cycling dream team. Not content with the controversy caused by his appointment by British Cycling as a mentor for young riders, David Millar has named a number of dopers on his all-time dream team selection. The Scot, who was banned from cycling for two years after admitting EPO use after his arrest by French police, was asked by CyclingNews to name his dream team as part of an ongoing feature it does with well known riders. However, just four days after being appointed by British Cycling to his new role, CyclingNews published its Millar dream team story, with his selection not short on dopers. Riders taking part in the segment on the site must select nine riders to make up their ‘dream team’ and can only pick from their former team mates. Millar picked himself, Mark Cavendish, Christian Vande Velde, Ryder Hesjedal, David Zabriskie, Stuart O’Grady, Ian Stannard, Geraint Thomas and Íñigo Cuesta. Of the nine, five doped during their careers. The development comes as a major embarrassment to British Cycling, which was forced to defend its appointment of Millar to mentor its young stars. Many felt that given his past, Millar should not have been awarded the position with the national federation and his inclusion of dopers in his dream team will only serve to increase that criticism. Aside from Millar’s doping, Vande Velde admitted doping with US Postal as part of its roster from 1998 to 2003 and up to April 2006, when he claimed he stopped. Hesjedal, who won the Giro d’Italia in 2012, admitted doping in 2003 and claimed it was “short-lived”. He made his statement in 2013 when implicated by Michael Rasmussen. Zabriskie doped and was stripped of all of his results for a near four-season period to the end of July 2006 after confessing to USADA during its investigation into Lance Armstrong and his former US Postal team. 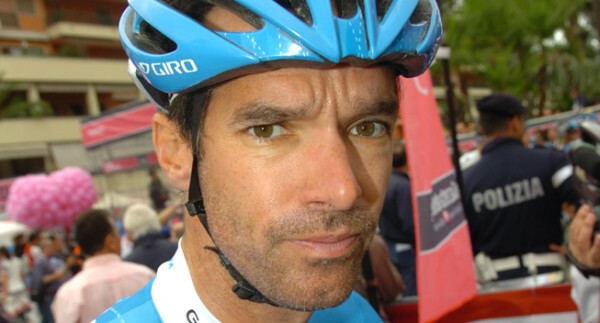 O’Grady also admitted doping, saying he did it only once – ahead of the 1998 Tour de France. He made his admission on the eve of publication of a report by the French senate into doping. Late last week British Cycling announced that Millar, a former Tour de France yellow jersey who is now retired from racing, had been appointed as mentor to its young riders in the British cycling team’s men’s endurance academy programme that recently relocated to Italy. In a statement announcing the move, technical director of the Great Britain cycling team Shane Sutton made the case for bringing the controversial Millar into the role. “Nurturing an anti-doping culture is at the heart of everything we do at British Cycling and educating our young riders on the subject is a responsibility we take seriously,” he said. “Having someone of David’s calibre on board to support us in this education process is invaluable; he is readily available to share his well-rounded experiences as a professional cyclist to the young riders who aspire to succeed in their careers. “In addition to his mentor work, David brings with him a massive amount of training and tactical knowledge which will support the work of the coaches, and he’s become a well-respected figure in cycling which will help us to open doors when it comes to fielding young talent into professional road teams.